This week’s randomrolls gave us a high constitution and little else. Picking a class was exceedingly hard because of the stats, so I really had to work with the background tidbits for this character. It was the died at birth notation that really inspired me for this character and I even had a full build in my head. So without further ado I introduce you to a blood keneticist. Batriach was born and died – the first time – in the former Chelish colony of Sargava. It was a hard birth for his mother and when he came into the world he wasn’t breathing. He was dead a good two minutes before the midwife was able to bring him back to life. Sadly the difficulty of his birth was hard on his mother’s body and although she conceived again – a sister – two years later, the damage he cause to her body made his siblings birth so traumatizing it killed her. His father was set to raise two children while tending the field outside of Port Freedom. Through most of his childhood Batriach was sickly. He contracted almost every disease that passed through the town. It left his body ravaged with a severe limp as he grew older. He also died on two other occasions, from various bloodborne diseases, but apparently death was not in the cards at those times. In his early teens he fell in with one of many bad crowds around Fort Freedom. He made enemies of the other small gangs that opposed his group. He was never a great fighter but he could certainly take a beating. All the abuse his body had received from his childhood hardened him to almost super human levels. What he lacked in combat prowess he more than made up in keen observational ability. One rival found the town guard on his doorstep when Batriach helped some damning information find its way into their hands. He expected that the young man would be locked away or maybe lashed, but apparently the officials were looking to send a message after a recent rash of criminal activity and he was hung. Batriach always felt bad about this. Batriach spent the next year or so looking for a way out. Not just of the group he’d gotten swept up in, but out of Port Freedom. He hitched his wagon to a disgraced noble who had been living on the outskirts of town. The man was finally looking to find a new place to start over and he’d used a number of the young ruffians to his own end, so the boy asked to go along. Their first stop was Crown’s End where they would find a path out of Sargava altogether. Soon after Crown’s End there were boats and water, lots of water. Batriach began to feel something pulling at his very body while they were on the waves. His blood seemed to move with the pull of the tide. The boat was a rough place to begin with as most of the crew were scoundrels or even downright pirates. When one of them struck Batriach for “being in the way” – a massive blow which barely phased the boy – he lashed out. The beads of sweat on his body seemed to collect in a globe that struck the crewman. The water didn’t just splash on him it cut him deeply across his bare chest. For the first time the boy saw that he had power. His whole life he had been unable to truly affect the world around him, but now he could. The fallen noble also saw the power of the boy and sought to guide him in their new life among the pirates of the Shackles. The power was now literally in Batriach’s blood and he intended to use it. Did you find the power in his blood or did you find something different? 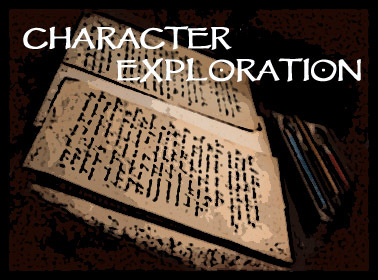 Who was your character? What class do these stats and background coalesce into in your mind? How did this character’s mother die? What did his low dexterity represent? Bringing these characters to life is a second full-time job. Contributions to my Patreon or Paypal help me invest more of that time into creation instead of worrying about keeping the lights on. If you’d like to support your favorite content provider – come on, that’s me, admit it – please consider contributing.